On a cookie sheet, lay out English muffin halves. Spread about 2 TBSP Alfredo sauce onto each muffin. 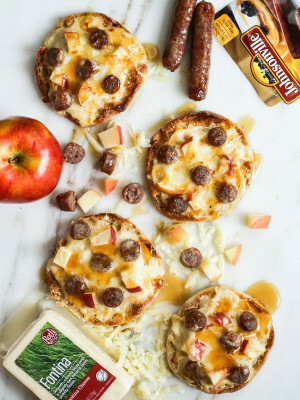 Top each muffin half with grated cheese, sausage pieces and apple chunks. Bake mini pizzas for 10-12 minutes or until crispy and bubbly. Remove from oven. 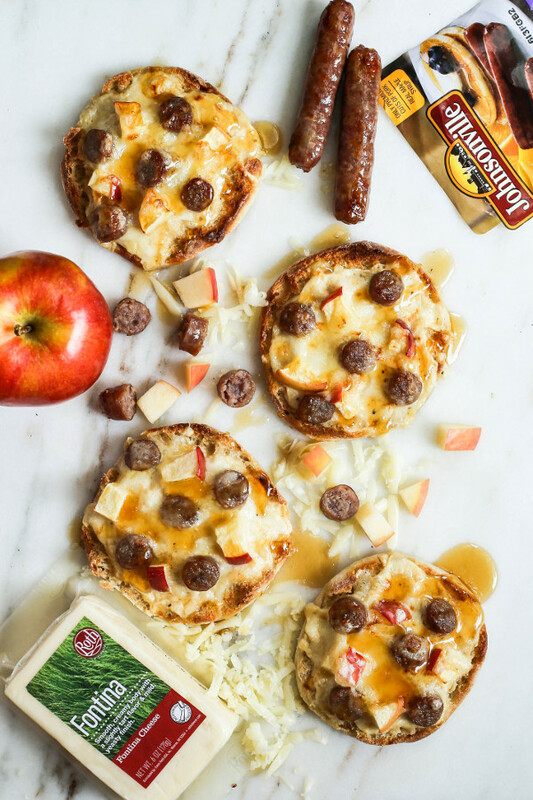 Drizzle maple syrup over mini pizzas and serve.